Eddie Tanner did well in his professional debut in 1980. He did well enough for the Indians organization to not want him to sit on the bench, they sent him to an independent squad where they knew he would get playing time, The Cleveland Plain Dealer wrote. 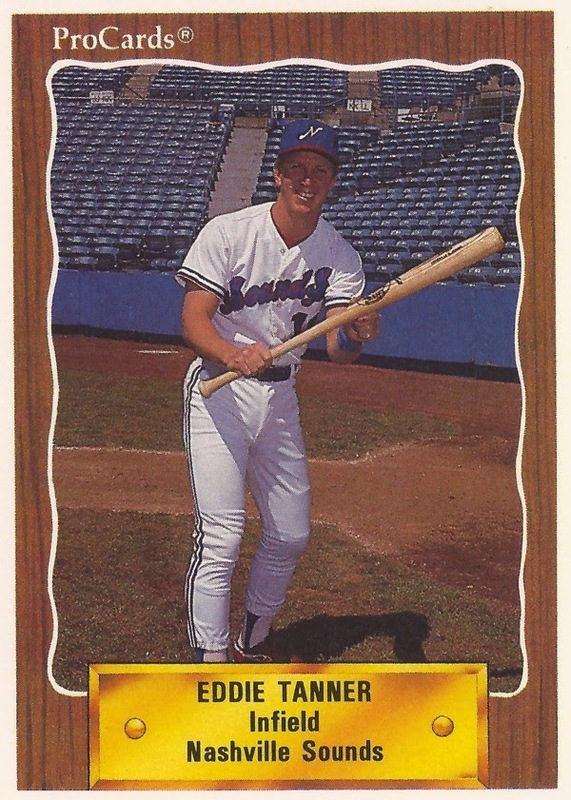 Tanner would go on to do well enough to get playing time at AAA squads over five seasons, part of more than a decade spent as a professional. Tanner, though, never did well enough to get playing time in the majors. Tanner's career began that year in 1980, taken by the Indians in the ninth round out of Brooklyn-Cayce High outside Columbia, SC. That first year, Tanner got into 28 games, 27 of them at Auburn. He hit .275, with 12 RBIs. Tanner returned to Batavia for 1981, getting into 48 games. He hit just .235. His 1982 season was shortened to just 21 games. It was also his final year with the Indians organization. He joined the Cardinals for 1983, playing at single-A Springfield. He hit .319, with three home runs and 51 RBIs in a full season. Tanner made AA for the first time in 1984, at Arkansas, staying there through 1985. He arrived at AAA for the first time in 1986, with 43 games at Louisville. Tanner arrived in the Reds organization in spring 1987, headed to AAA Nashville. He hit .252 on the year with eight home runs. In May, Tanner won Player of the Week honors, getting four of his home runs in a one-week span, along with 13 RBIs. He knocked in the game-winning run with a double in an August game. Tanner stayed with Nashville through 1990, four seasons in all, ending his career. In his final season, Tanner hit .261, with four home runs and 22 RBIs. Two of those RBIs helped pull Nashville into a tie with Buffalo, forcing a one game playoff for the division crown. Tanner knocked in those two with a bases-loaded single.